A very reserved goddess of Fate and a water dragon go head-to-head in a battle of wills. Magnolia Faiten loves the control she's honed over the years. Okay, the truth? It's more of a need thing, but a chance fire in her workplace changes all of that. She might not be the glass half full type of woman, but when some super hunky dragon shifter rushes in and saves her, she decides the fire just might have been a good thing. The water dragon has more than one secret--one he refuses to reveal to anyone. If he did, his life wouldn't be his anymore. 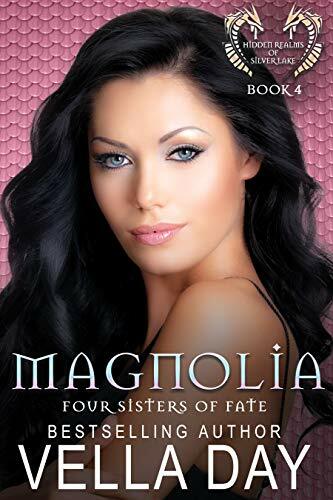 When he carries out the beautiful Magnolia from what he thinks is certain death, he's shocked to realize she is his mate. Now what should he do? Secrets have a way of destroying even the best relationships. Then Magnolia shocks him when she reveals she's an immortal goddess! Okay, he can work with that. Too bad when he tells her what and who he is, Magnolia just disappears. To say the least, winning not only her trust but her love will be one of the biggest battles of his life.